The Iberian Woodpecker is a close relation of the more widespread Green Woodpecker, which until recently it was considered part of the same species. 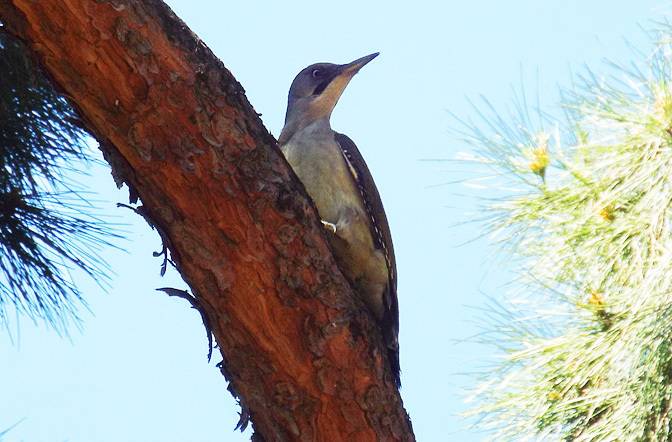 Visually, it differs in that it lacks the black mask that Green Woodpeckers normally have. It seems to be fairly common in the forested parks of Madrid, I heard them calling or caught glimpses on a number of occasions before this very obliging individual landed on a tree in front of me where I could get clear views. SPAIN - Fairly common resident.